Demolition contractor insurance (demolition business insurance) also known as liability insurance for demolition company is a type of contractors insurance that protects demolition companies when they are sued by clients because of their direct or indirect demolition work. We offer rates for from $1 Million, $2 Million to all the way up to $50 Million in insurance coverage for demolition contractors. You’d probably be surprised to learn that there is a good market for demolition companies in the country of Canada. Businesses and property owners in the country are frequently demolishing old buildings and replacing them with new ones. This makes Canada a very friendly business environment for demolition and environmental services companies. While all is going well at this point, you should not rush in too quickly. It is absolutely pertinent to go above and beyond to protect yourself from potential litigation from Canadian consumers. If you are within the Greater Toronto Area, you can do just that by investing in Toronto contractor insurance for demolition & environmental services companies. Below, you will learn more about this type of insurance and the protection that it can provide to your business. 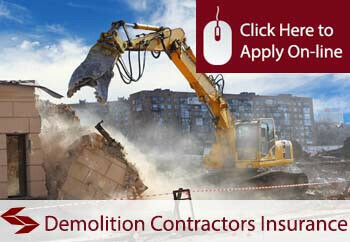 Why Do Demolition Service Providers Need Contractor Insurance? When it comes down to it, no company in Canada is completely invulnerable to civil litigation. While your business might be doing amazing at this point in time, that could all change within a blink of an eye. At the same time, you must remember that certain provinces like Ontario, Alberta, and British columbia will actually require you to have contractor liability insurance for demolition, before you can begin serving locals. 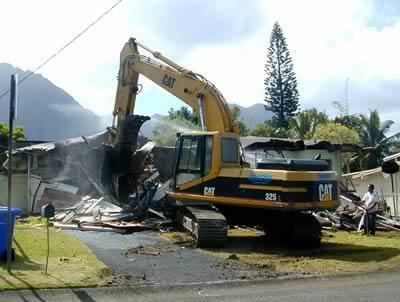 Even if it isn’t a requirement, you should make it a top priority to acquire demolition insurance policy right away. Failing to do so is putting your family, your workers and your future in jeopardy. You never know when a customer is going to complain and you cannot always control the actions of your workers. Therefore, you should take steps to protect yourself with demolition contractor insurance. Contractors general liability insurance will decrease your exposure and help to ensure that your company remains intact for many years to come. Many Canadian companies in a city like Brampton do not want to get Brampton contractors insurance, because they will believe that it will negatively impact their bottom line. There is no doubt that any insurance product will be a little costly. 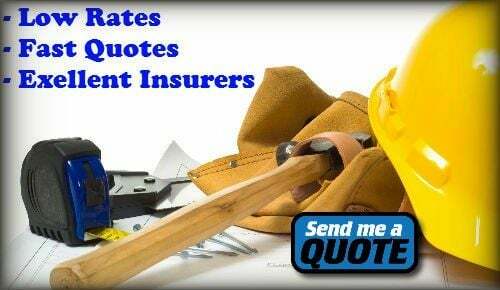 Nevertheless, you will quickly find out that construction insurance is well worth it. This insurance could potentially save you hundred of thousands of dollars in the future. It could also help to keep your business operational, while you’re facing litigation from an unhappy client. Just remember that the cost of demolition business contractors insurance depends on numerous factors, including your industry, company history, company size, and your own personal credit score. By to give some estimates, you are looking at anywhere between $700 to $5,000 a year. By working with the right broker, you will be able to receive assistance getting a premium that actually fits into your budget. Why Does Company History Matter? While some demolition and environmental services will decide not to obtain liability insurance, others will understand its importance and obtain it early on. There are many reasons why construction contractors will avoid getting coverage, with the primary reason being the cost. One of the driving factors of the cost of construction liability insurance is a negative history. For instance, if you have a history of not fulfilling contracts, dealing with lawsuits and numerous claims, you should expect to receive a higher premium. If you have a history of fulfilling contracts, little to no claims and lawsuits, your premiums will be lower. What most people do not understand is insurance companies and brokerages are in the industry to make money. This does not mean that they are not going to protect your company and employees to the best of their ability, just that they are not going to take a loss. If your company is considered high risk, you will be charged a higher premium, because a future lawsuit or claim is a possibility. The higher premium is needed to protect against a potential future claim. We strongly want to help all demolition experts acquire the contractors liability insurance needed to fully protect their businesses. If you’re in need of demolition services liability insurance, but do not know where to get started, you should not hesitate to get in touch with us. Our each and every insurance broker will go above and beyond to help you get the coverage you need in a hurry. On top of that, we’ll do our best to help you acquire an affordable comprehensive insurance policy which includes protection for legal expenses, equipment and tools, and commercial automobiles while maintaining a fair premium that will easily fit into your budget. Get in touch with us when you’re finally ready to get covered!